The Happy Pet Go Walk Everyday Classic Black Dog Coat is a cosy, fleece lined jacket that's perfect for everyday use. 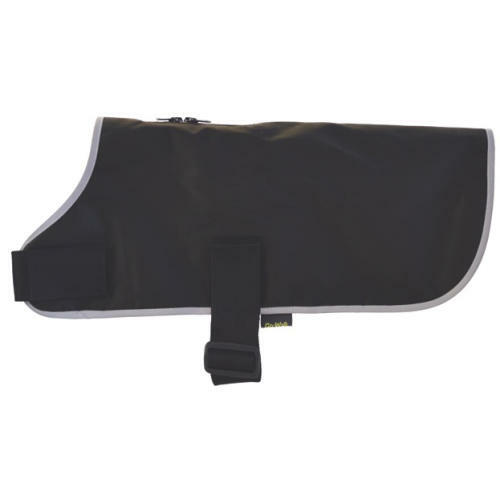 Lightly padded for extra warmth and protection which helps to keep dogs' natural body temperature stable; also features an adjustable under strap ensures a comfortable fit with strong velcro fastenings. The Happy Pet Go Walk Everyday Classic Black Dog Coat includes a reflective trim for nighttime visibility and is also water resistant to help keep your pooch dry!